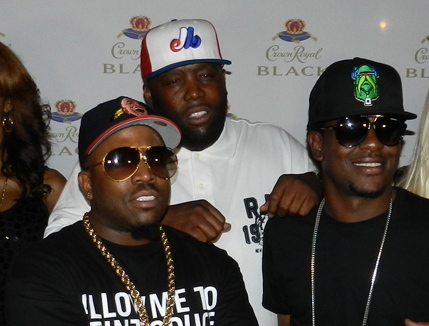 Big Boi of the legendary group OutKast celebrated his Crown Royal Black partnership in true ATL fashion recently at Door 44 in Atlanta. Fellow ATLlien rappers Killer Mike (aka Mike Bigga) and Pill were on hand to celebrate and perform with Sir Licious Left Foot to a packed crowd in Midtown. The three ATL heavyweights announced recently that they have begun recording an album together.